Details: Amrit Indo Canadian Academy organized a one day training programme exclusively for English subject teachers on 9th Jan 2018. So that the teachers can help students gain proficiency in English speaking and reading during their school days itself. 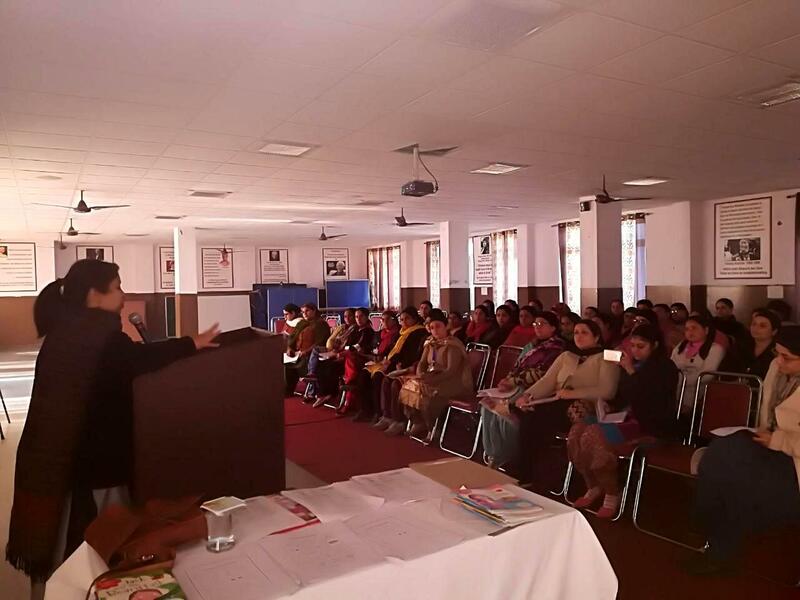 The resource person Ms.Monisha from New Delhi delivered lecture to the teachers during the work-shop. The main focus of the work-shop was on phonics as an effective measure to inculcate reading habit in the kindergarten and pre-primary section. The work-shop also offered teachers a platform to clear their doubts pertaining to the classroom activity. Principal Jaskiran Kaur extended the Vote of thanks to the resource person and appreciated her efforts for inculcating reading skills.